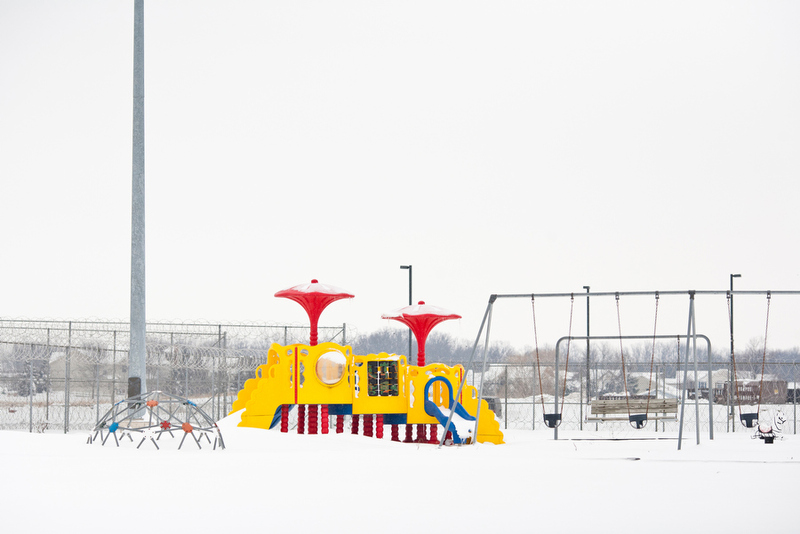 A playground provides an outdoor space for the prisoners and their babies during the warmer months, but it is still surrounded by barbed wire at the Ohio Reformatory for Women. There are only nine prison nurseries in eight states which offer pre-screened non-violent inmates who enter prison pregnant to live with their babies in separate facilities for up to the first eighteen months. The standard alternative is to immediately place the infant into foster care within hours of its birth. Studies suggest that the recidivism rate for women who have gone through the parenting programs offered in the prison nurseries is lower when compared with the general population of prisoners. Posted on 01/24/2011 by Melissa Golden. This entry was posted in . Bookmark the permalink.